Oya Sevimli received the BSc and MSc degrees in electrical and electronic engineering from the Middle East Technical University, Ankara, Turkey, in 1981 and 1985, respectively. She was the Science Leader for Millimetre Wave and Microwave Technologies with the CSIRO ICT Centre, Sydney, Australia. Her research highlights include the development of novel integrated circuits such as InP HEMT oscillators, InP HEMT bidirectional amplifiers, GaAs HEMT low noise amplifiers, GaAs Schottky diode mixers (all at 50 and 100 GHz) and GaAs HEMT voltage-controlled oscillators from 12.5 to 30 GHz. Ms Sevimli left CSIRO to take up an appointment at Macquarie University, Sydney, to undertake research towards her doctorate. 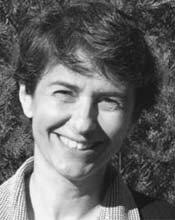 Ms Sevimli is a Senior Member of the Institute of Electrical and Electronics Engineers (IEEE) and a Member of the Editorial Board for the IEEE Transactions On Microwave Theory And Techniques. She was a member of the Technical Paper Committees for a range of international conferences. Sevimli O, 2009, Personal communication. CSIRO Medals 2007 - Chairman's Medal – The Gigabit Wireless Team.